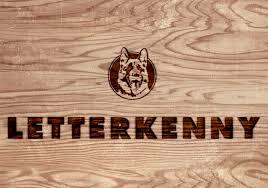 LetterKenny Season 3 came out on July 1st and I was excited to watch it when I got home from our Canada Day weekend camping trip but the excitement didn't last for long. As with the first 2 seasons, the season was short as were the episodes which is what I like about this show - along with the humour. However, this season was a major disappointment compared to the other 2. There was nothing memorable about any episode and it wasn't as funny either. It was like they knew had a hit series and decided to quickly put together a third season to make the fans happy. I would still recommend you watch it but at the same time I pray season 4 is better whenever it comes out. This is available to stream currently on CraveTV. Glow also came out in July and had received good reviews so I decided to give it a try. GLOW stands for Glamorous Girls Of Wrestling and while it was about wrestling, there definitely wasn't enough of it in the series. The first 2 episodes were good as were the last 2 but the between episodes kinda lulled. It stars Alison Brie whom I really like and although there aren't any other major stars in it, it is still well cast imo. I hope that there is a season 2 coming out!! This is a netflix original and is currently streaming on Netflix Canada, go check it out now. This is a netflix original and the second season came out in May and we finally time to start it in July and finish it in August. We love this show very much and if you haven't watched the first season or the current season, then you are missing out. 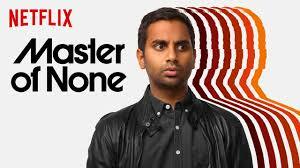 It stars Aziz Ansari and is written by him and Alan Yang and they are brilliant. The second season was very different then the first and had some pretty epic episodes. This season was definitely feeling more lonely but the end was somewhat the opposite if what we think happened did. The worst part about this, is that there may not be a season 3 - not because the ratings are bad but because Aziz will only do it if he has a story to tell as the series is loosely based on his life (i think). Even if there are only ever 2 seasons to this series, you absolutely must watch it. I promise you that you will not be disappointed with it. It is currently streaming on Netflix Canada. This show was released in July while we were on vacation but everybody seemed to be talking about it so I watched when we got home. The reviews for this show were terrible and they all seemed to be the most horrible people you have ever met and you would never ever want to be friends with any of them - except maybe the doctor - but despite all of that, I still liked the show. Weird, right? It is a short season and episodes are only like 45 minutes (i think) and it was good to watch kinda mindlessly when I was stretching and strengthening getting ready for seawheeze. 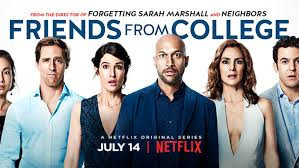 Based on the terrible reviews, I don't think there will be a second season so you may not want to watch it based on that .... but I will still recommend you watch it if you need something to fill some time when all you want to do is netflix and chill. Currently streaming on Netflix Canada. I was perusing on netflix one night trying to find something to watch while I caught up on some blogging last month and saw that this was on there. I hadn't seen it in awhile so I decided to watch it. 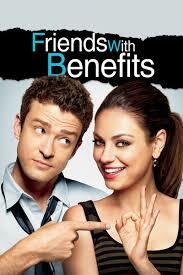 I had forgotten how funny it was and reminded me why I love Justin Timberlake so much haha. It is currently streaming on Netlfix Canada. And after I finished Bad Teacher, Netflix told me I might like this movie. I do love this movie and have watched it several times but since I was on some kind of JT kick, I stayed up late watching it and didn't regret it for a second. This movie is also currently streaming on Netflix Canada. 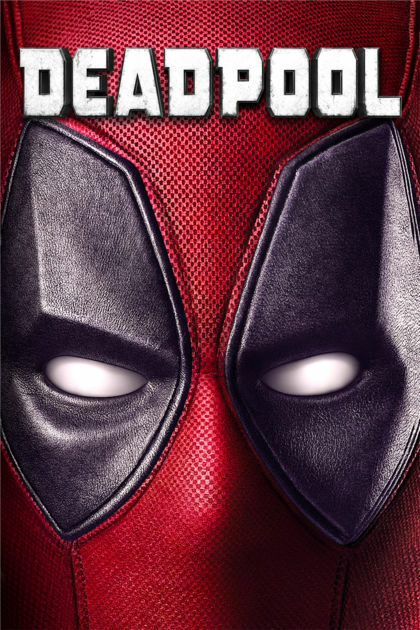 I had never seen this movie before and after being in Vancouver and randomly finding the set of Deadpool 2 on our last day there, I thought maybe I should. Greg was backpacking for the weekend so I ordered it on Shaw On Demand. I was kinda not paying full attention to the movie and it left me quite confused so I had to ask Greg a bunch of questions when he got home so i could fully understand it. I will probably watch the second movie just out of curiosity and to see if anything I remember from the set will be in the movie. Greg loved this movie but I wasn't that into it. It is not currently streaming anywhere and I had to pay $6 to watch it from Shaw On Demand. Because of Greg's backpack trip as mentioned above and the smoke in the air, I was forced to do a bunch of running on our treadmill which I hate. 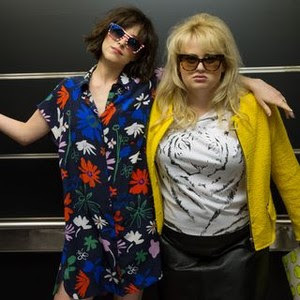 On two of my treadmill runs, I watched How To Be Single which is one of my favourite guilty pleasure movies. It is completely unrealistic but I love it so much anyways. It was a great way to pass the boredom of running on a treadmill that is for sure and who can resist a cameo from my favourite weekend update co-anchor Colin Jost?? This movie is currently streaming on Netflix Canada. Greg and I finally finished watching the Orange Is The New Black from last summer (I forget what season it is). While I didn't love the season thanks to the jackass guards, the last 3 episodes of this season were maddening, disgusting and far too dark. I understand that prison isn't as good as they make it out to be on this show but I liked that it wasn't dark and depressing and probably very unrealistic and they took that away during this show. I wasn't sure if I could continue watching the current season but I did and was even further disappointed by that season because I know from the previous seasons that this isn't something that they would do. And that is all I can say without giving away too much information. We still have like 6 or 7 episodes left I think until we are finished but we are in no hurry to do so. I would skip it altogether and wait until June for the next season to come out but you are getting some backstory on some of the characters and that is quite interesting. This season and all other seasons are still currently streaming on netflix Canada. Did you guys watch anything great this summer? ?